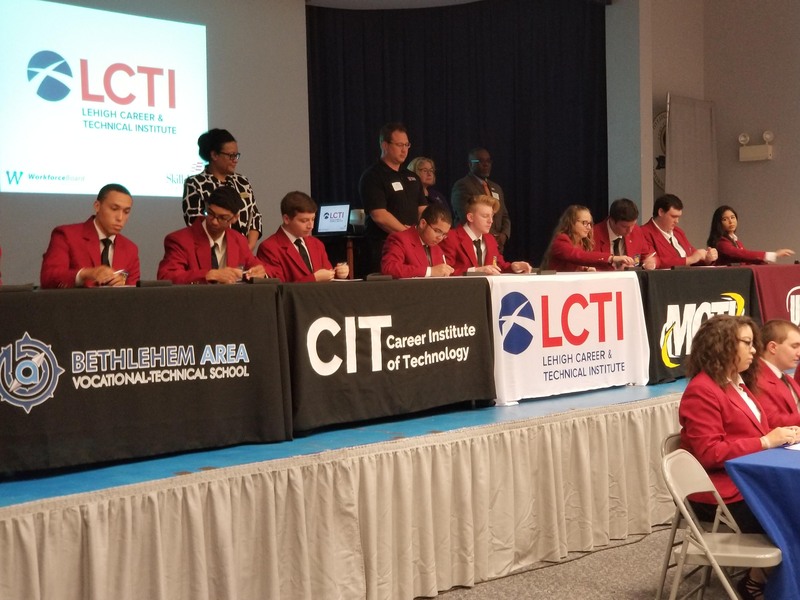 May 11, 2018 LEHIGH VALLEY – SkillsUSA, a partnership of industry, educators, and students to promote a skilled workforce, organized the first “Signing Day” event for the five area Technical Schools in Lehigh Valley District 11. The event was held to recognize technical school students that are moving on to a technical careers, college, or military service after graduation. Demco Automation was proud to be a part of this event by preparing to hire current Machining Technologies Co-Op student Jeremy Howard when he completes his education at Lehigh Career & Technical Institute (LCTI) and Southern Lehigh High School in June.